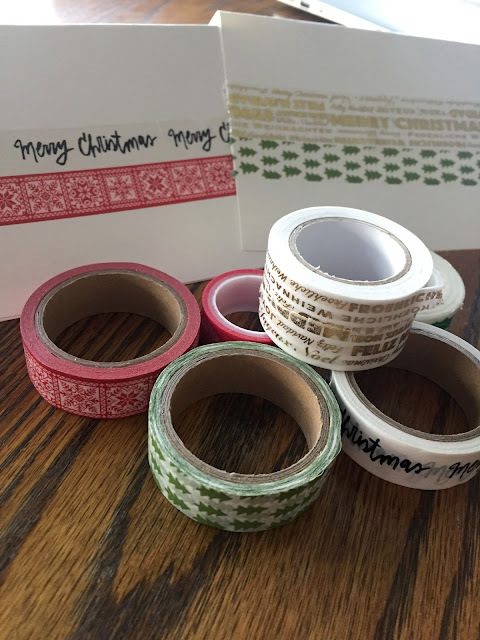 I just cannot get enough of this whole Washi Tape thing. I mean, there is just SO much you can do with that stuff! With seemingly endless patterns, colors and designs I am constantly whipping up things left and right. 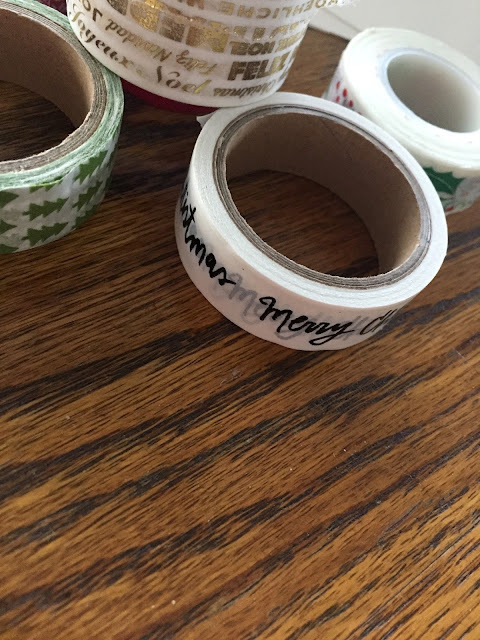 With my growing collection of holiday Washi (thank you amazing mother-in-law), it was pretty obvi that I had to do something with it this year. While gift cards used to be an impersonal gift, I personally feel that is not (and to be honest, never has) been the case. I can't think of anything I love more than someone giving me money I HAVE to spend. You can't put a gift card in savings. You can't pay a bill with a gift card. You MUST spend it...on something you want...ummmm, yeah, that is the best gift ever! Not that I don't try to find thoughtful gifts for family and friends, I do, but for most, the gift card seems the way to go. 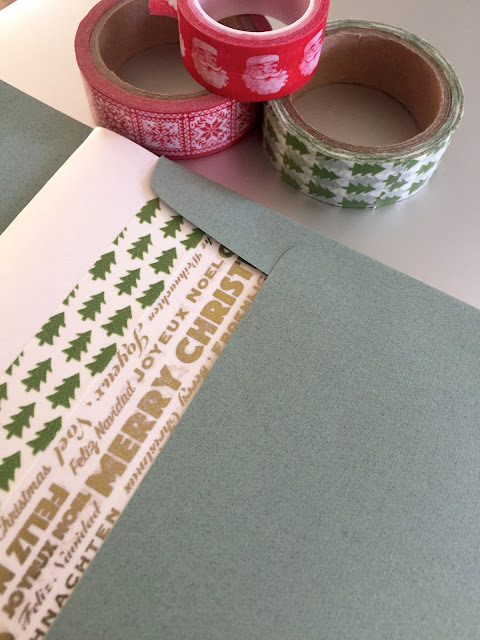 Rather than throw the card in the standard store provided envelope, I decided to show my love this season through my Washi work. I grabbed some random opaque paper (I know, who has that around? 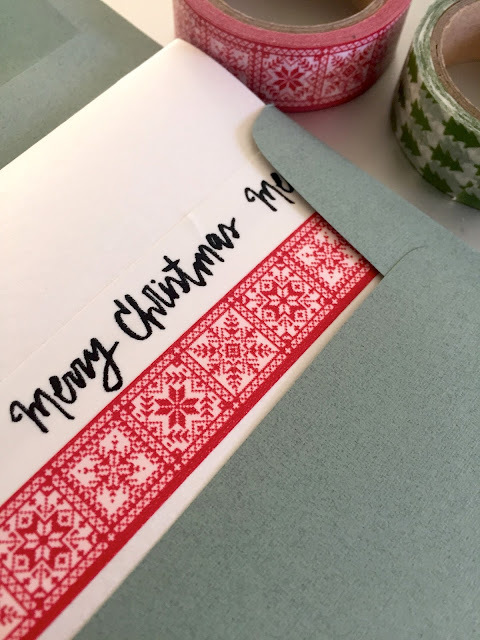 my original plan was my trusty index card, but I happened upon the more festive paper), envelopes, metallic marker and my Christmas Washi selection. I assessed my stash and decided to mix and match patterns. I went with one wordy one graphic and tried to choose two that contrasted yet complimented each other. Once the cards were assembled, I reached into my stack of gift cards and matched the chosen "must spend money" to the loved on in mind. A few more tears tape and I was done! Using my metallic pen I added the "to" and "love" and started stuffing into envelopes. And just like that I was done. 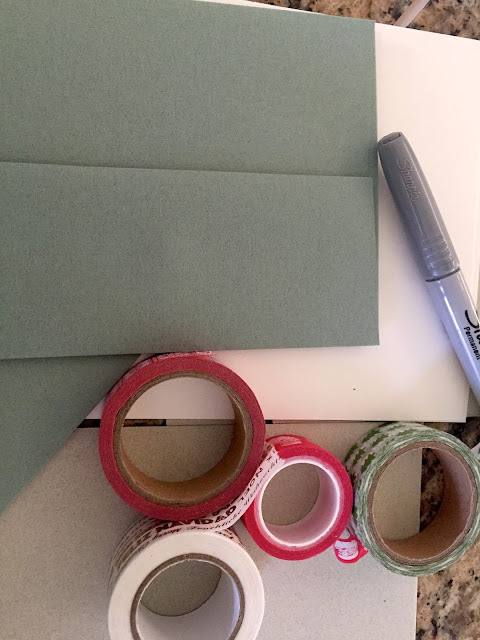 No major wrapping, no boring envelope, just a little DIY Washi-ing. 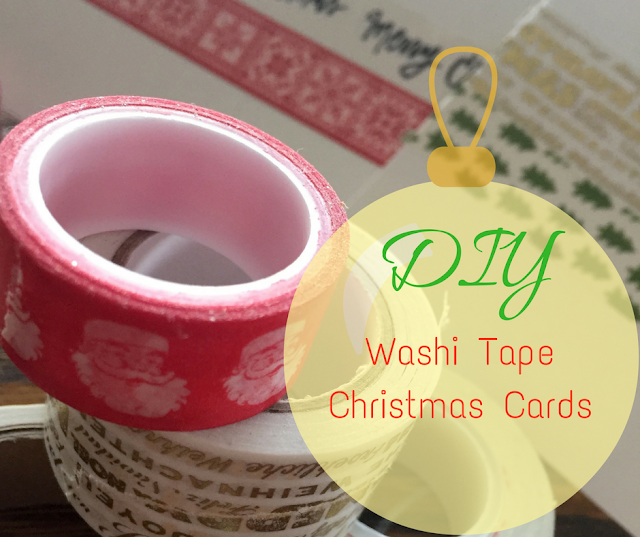 I swear, Washi tape is the gift that NEVER stops giving! 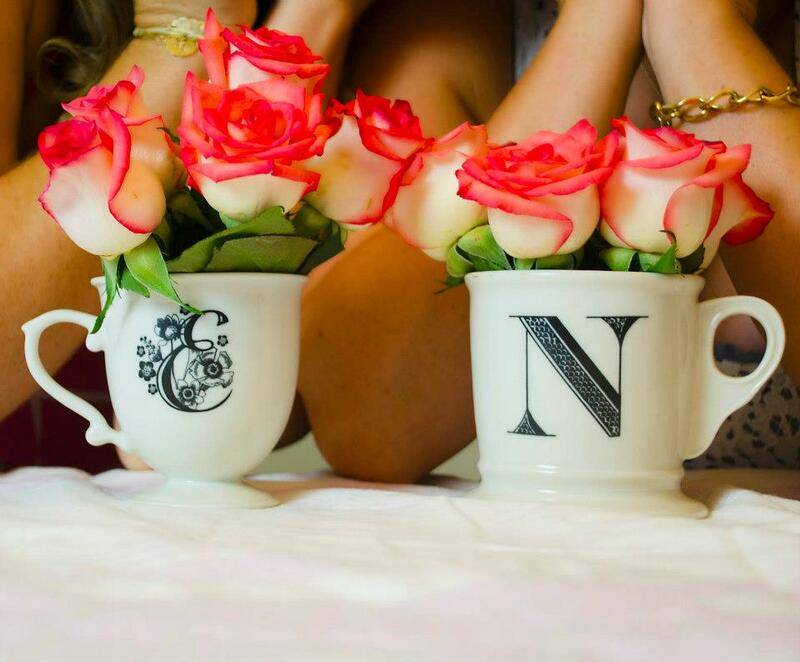 It adds a pizazz to any and everything. God...I am obsessed!!! 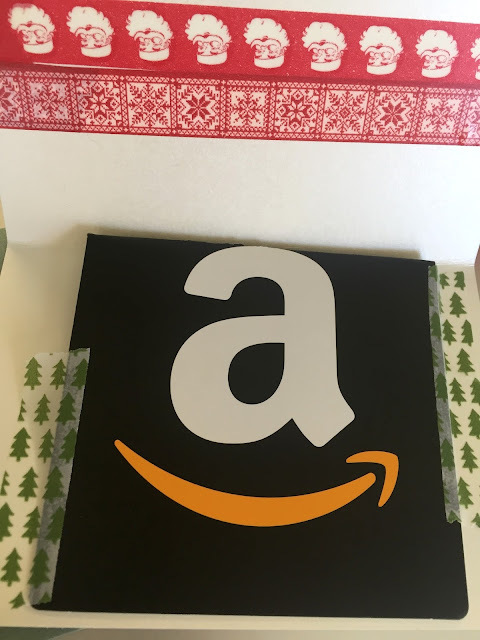 What is your vote on gift cards? Hell yes or No way? 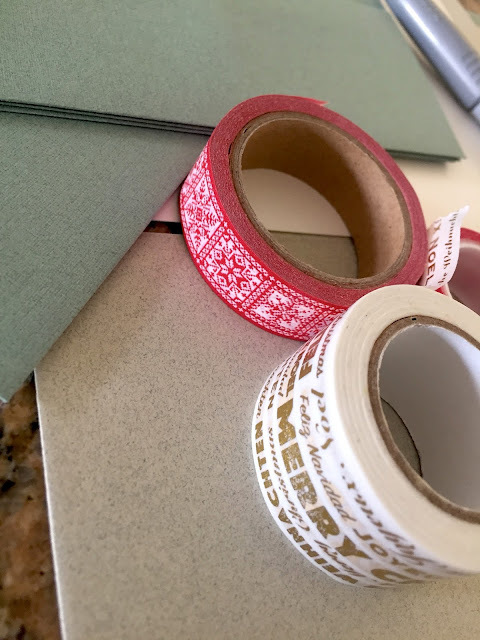 Washi lover or hater?